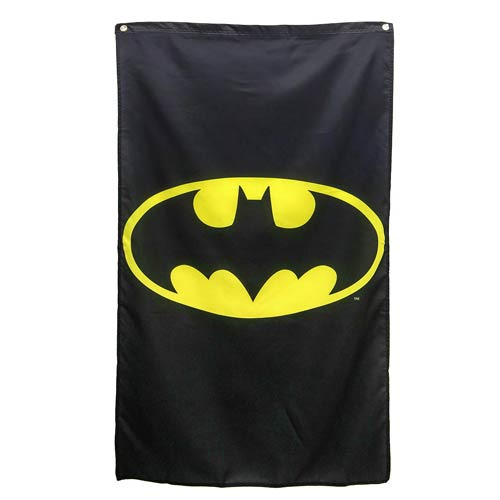 Show your pride and support for the Dark Knight in your home or office with this Batman logo banner. Made of fabric, the Batman DC Comics Batman Logo Banner measures approximately 38-inches tall x 29-inches wide and is ready for display. Ages 13 and up.